Will Nonprofit Hospitals Have to Defend Their Tax Exemptions Next? My own fear is that if academic medical centers and other nonprofit hospitals don’t reform themselves, their nonprofit status might become threatened. There have certainly been rumblings in that direction. In 2013, Pittsburgh’s mayor, Luke Ravenstahl, sued the University of Pittsburgh Medical Center, challenging its nonprofit status. 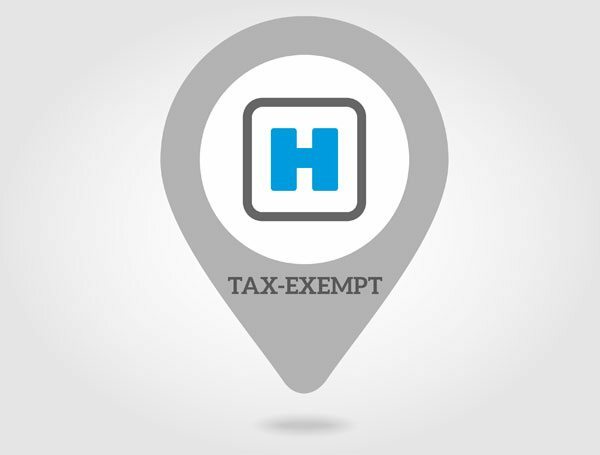 The IRS revoked the tax-exempt status of a hospital early this year because it failed to conduct a community needs assessment. The tax-exempt status of hospitals has also been challenged in courts with mixed results. Despite decades of efforts by for-profit entities to take over the hospital sector, it is noteworthy that nonprofit hospitals retain a dominant market position. And this difference does matter. A year ago, the Pittsburgh Gazette’s Sean Hamill, who has certainly been critical of nonprofit hospital practices, nonetheless noted that nationally nonprofit charity care (2.2 percent of revenues) was double that of for-profits (1.07 percent of revenues). But this doesn’t mean that the concerns that Warraich raises lack merit. Charity care gets the most attention, but this is probably a mistaken emphasis. After all, even for-profit hospitals must care for indigent patients in critical condition. Moreover, hospitals might generate far more beneficial community outcomes and proverbial “bang for the buck” by investing in addressing social determinants of health that drive overall health outcomes. A more fundamental question is whether nonprofit hospitals are focused on their mission of service to the community or on just making money. Warraich laments that too many nonprofit hospitals “appear to be more interested in driving up profits than improving health,” investing resources, for example, on remunerative, but not medically necessary, cosmetic procedures, when they could be leading on addressing the nation’s myriad health challenges. The 2008 IRS community benefit requirement is vague. The purpose of Schedule H was to increase accountability and transparency, but it can sometimes muddy the waters. The categories of community benefit activities are numerous and include the net, unreimbursed costs of charity care; participation in means-tested government programs like Medicaid; health professions education, health services research; subsidized health services; community health improvement activities…the list seems to go on. Suja has a background in management, fiscal and forensic analyses, and general nonprofit consulting. She holds a B.S in Psychology and a Master's of Public Administration from Virginia Commonwealth University.